Written by: Matt Groening, James L. Brooks, Sam Simon, Mimi Pond, etc. Directed by: David Silverman, etc. 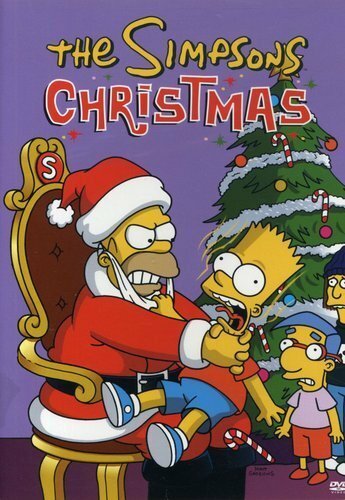 This first "Simpsons" Christmas DVD collects five great seasonal epsiodes,including the very first half-hour short Simpsons Roasting on an Open Fire (1989),in which Bart and Homer go to the dog races, hoping for a Christmas miracle,and wind up with a new dog: Santa's Little Helper. Also featured is the greatMr. Plow (1992), in which Barney and Homer compete for the rightsof plowing a snowed-in Springfield; Miracle on Evergreen Terrace (1997),in which Bart accidentally destroys the Christmas tree and blames it ona ficticious burglar; Grift of the Magi (1999), in which Springfieldchildren are recruited to help build a new toy; and She of Little Faith (2001),in which Lisa hunts for a new religion and wonders if she can still celebrateChristmas. All five are classic and will provide endless holiday cheer.Well, maybe not endless, but 92 minutes worth at least.